Can you guess what they ate their fair share of daily? We’re now pretty clear that ice cream is not a health food. But in the 1950s and 60s, my grandpa and his brother-in-law were pumping out delicious flavors by the dozen. Eventually, my grandfather began suffering from a host of health problems, including heart disease. His doctor told him he likely only had a few years of life left. But his cardiologist recommended changing his diet and handed him a copy of my dad’s book, Diet for a New America. And then, Grandpa Irv started to turn his health around. Remarkably, my grandpa started eating fewer processed foods and less meat. He gave up sugar and, amazingly, he even gave up ice cream. He started eating a lot more veggies, fruits, and whole foods. Before long, Grandpa Irv lost 30 pounds. He ditched all his diabetes and blood-pressure medications. And he enjoyed more energy than he’d had in decades. Despite the grim prognosis, he ended up living 19 more healthy years. So what did I learn from my great-uncle Burt and Grandpa Irv’s heart disease? 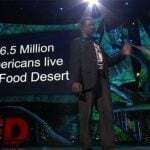 The Standard American Diet leads to the Standard American diseases. And if you want to turn it all around, diet is at the heart of the matter. 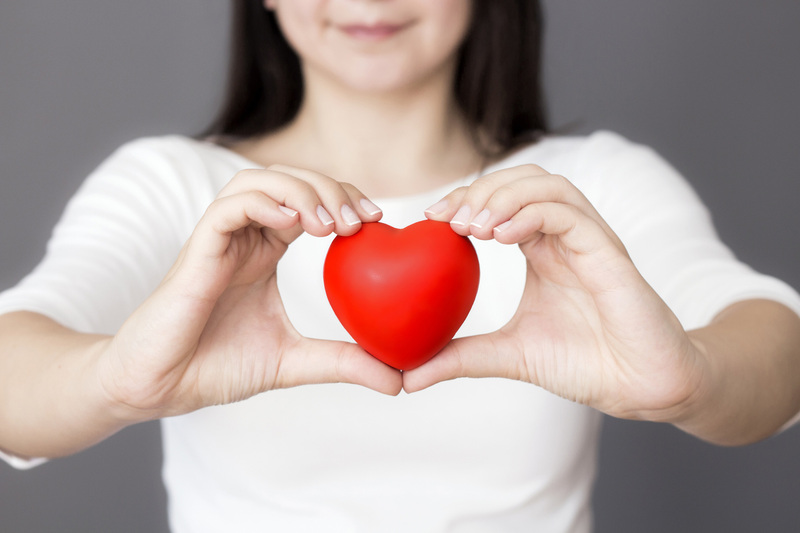 Heart attacks aren’t the only form of heart disease (or cardiovascular disease). Heart disease affects not just the heart but the blood vessels and arteries as well. There are many types of heart disease. Heart disease is a general term used to describe dysfunction of the blood vessels in various parts of the body that lead to organ dysfunction. And heart failure — when the heart isn’t pumping as much blood as it should. Certain lifestyle factors can increase your risk dramatically. 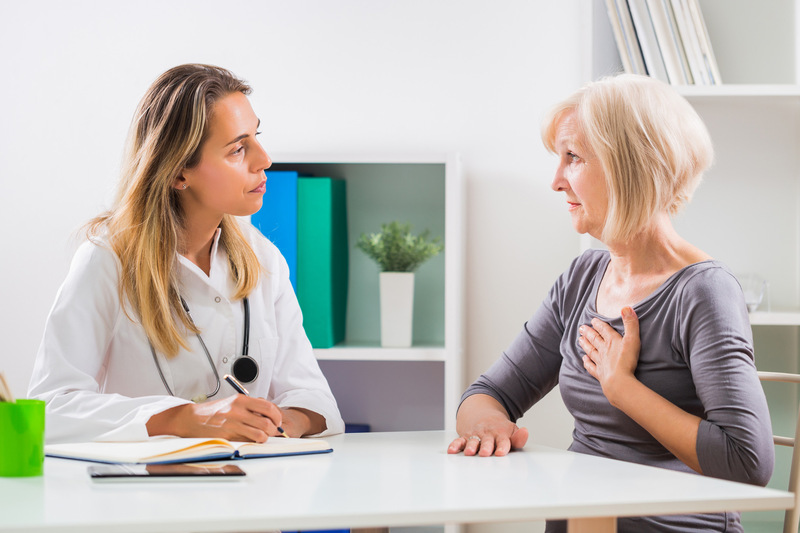 Smoking, type 2 diabetes, a sedentary lifestyle, obesity, excessive alcohol consumption, and poor diet can all contribute to the development of heart problems. That last one is especially important. What’s Being Done About Heart Disease? While genetics are often emphasized as a major risk factor for heart disease, they’re only one possible piece of the puzzle. In fact, the most common heart disease-related gene called heterozygous familial hypercholesterolemia (basically inherited high cholesterol) only occurs in about one out of 250 people. But studies have shown that even in these cases, cardiovascular disease can still be prevented through simple lifestyle changes. As the saying goes, “An ounce of prevention is worth a pound of cure,” and a 2012 study found just that. The study, published in the Journal of the American College of Cardiology showed that preventative measures relating to heart disease were more cost-effective than treatments, especially when it came to high blood pressure. However, we still have a long way to go. Doctors prescribe heart disease drugs more often than dietary changes. In 2017, the major drug companies made more than $40 billion just on drugs used to treat cardiovascular disease. And according to the American Heart Association, from 2013 to 2014, heart disease and stroke made up 14% of all health costs in the United States. In fact, in the next generation, the costs of heart disease are expected to increase to $749 billion per year. That’s nearly half the GDP of the entire country of Canada! Any way you slice it, that’s a LOT of money being spent on something that could be remedied simply by changing our diets and making other lifestyle changes. 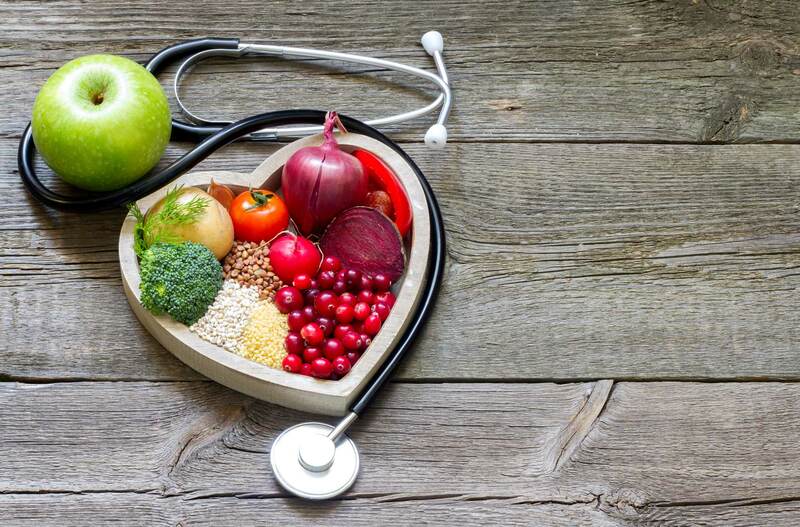 A growing and, frankly, overwhelming body of evidence now tells us that diet can be absolutely critical to preventing and even to reversing heart disease. And not just any diet. 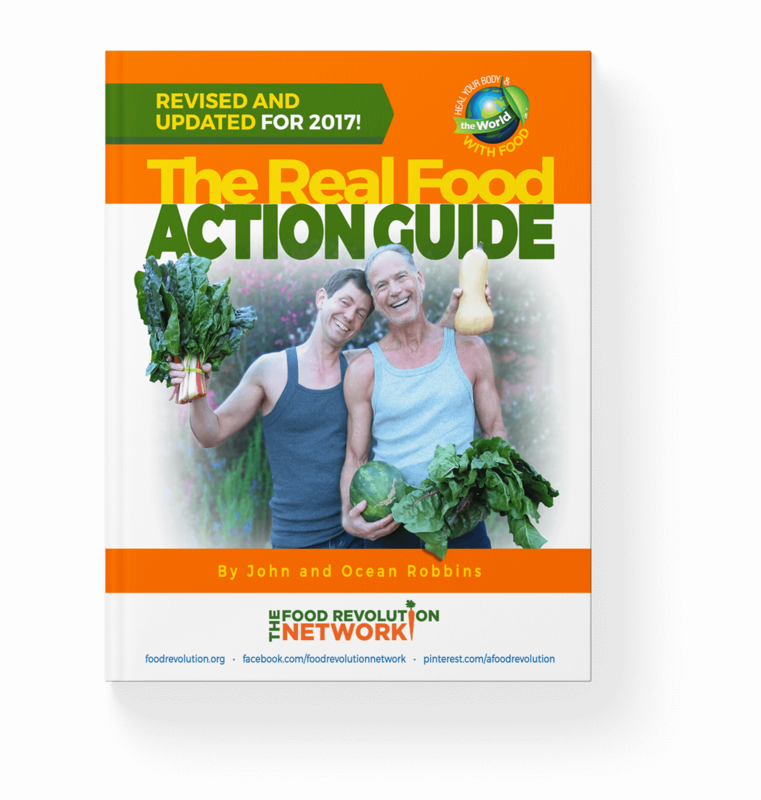 Studies by some of our Food Revolution Summit speakers including Dean Ornish, MD, Caldwell Esselstyn Jr., MD, and Joel Fuhrman, MD, have shown dramatic results. 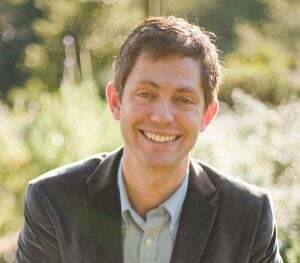 Dr. Ornish’s 1990 Lifestyle Heart Trial saw an 82% reduction in coronary atherosclerosis after only one year on a plant-based diet, without the use of statins or cholesterol-lowering drugs. 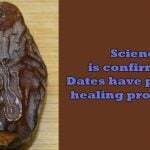 Similarly, Dr. Esselstyn conducted a study at Cleveland Clinic, beginning in 1985. Of the 22 patients in the original study, all of whom suffered from severe heart disease, 17 stuck to the diet and stopped the progression of disease, and four experienced a complete reversal. 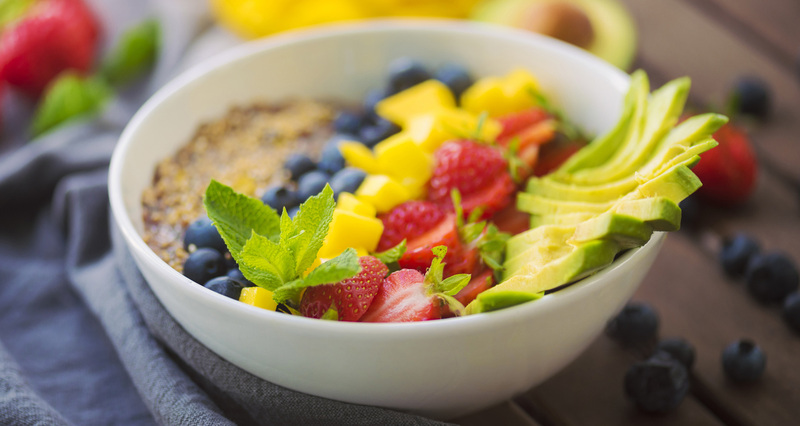 And last year, Dr. Fuhrman published a study which found that when participants ate his “Nutritarian” diet, they experienced weight loss, reduction in blood pressure, and lower LDL (“bad” cholesterol) levels and triglycerides. What’s the Best Diet for Heart Health? Many people are confused by all the different dietary advice we hear about. But here’s the truth: Leading nutritional experts are in general agreement about the most heart-healthy diet for humans. 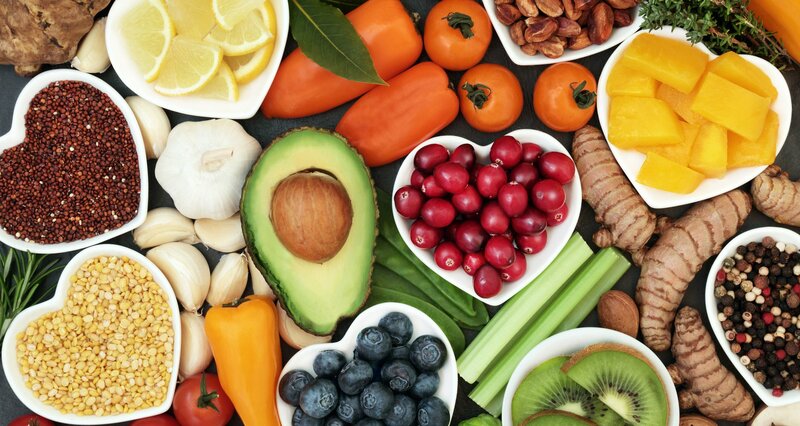 The optimal diet for heart health is one that is low in animal products (and especially processed meats), low in sugar and processed foods, and high in vegetables and other whole plant foods. 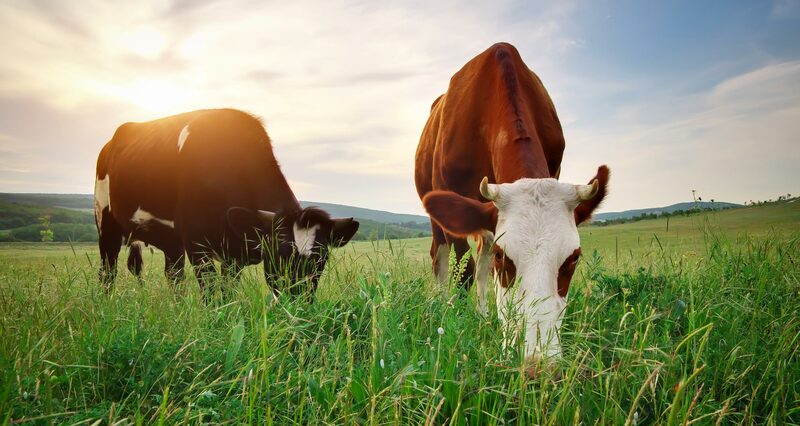 Millions of lives (and billions of dollars) could be saved every year if we all just ate more plants. 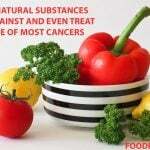 It turns out this same diet is also generally best for preventing cancer, type 2 diabetes, obesity, and many of the other major health ailments of our times. In fact, in 2017, medical researchers conducted a meta-analysis study published in the International Journal of Epidemiology. 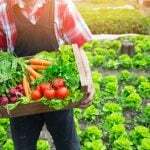 They found that an estimated six to nine million premature deaths (including heart disease and cancer) worldwide in 2013 may have been associated with low fruit and vegetable intake. 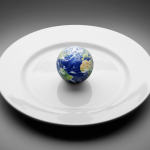 Millions of lives (and billions of dollars) could be saved every year if we all just ate more plants. I’d call that a win-win! Now you know how important diet is for heart health. 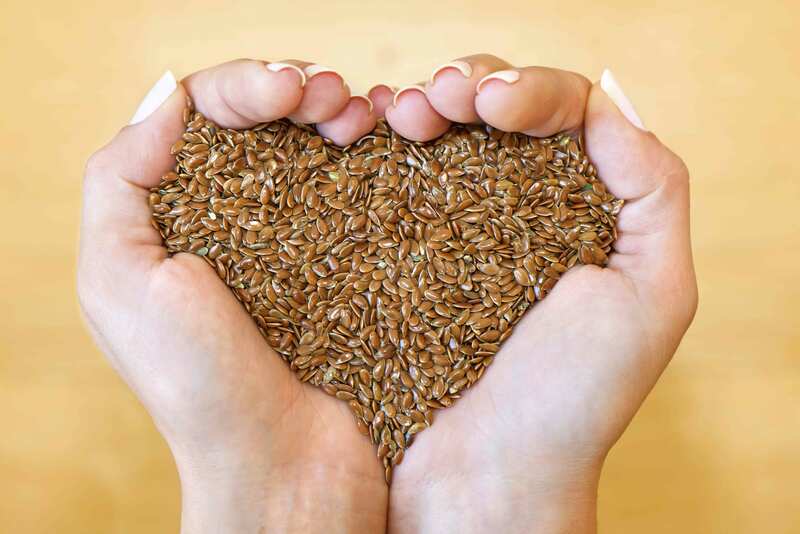 So what are the specific foods you should be eating if you want to support your heart health? 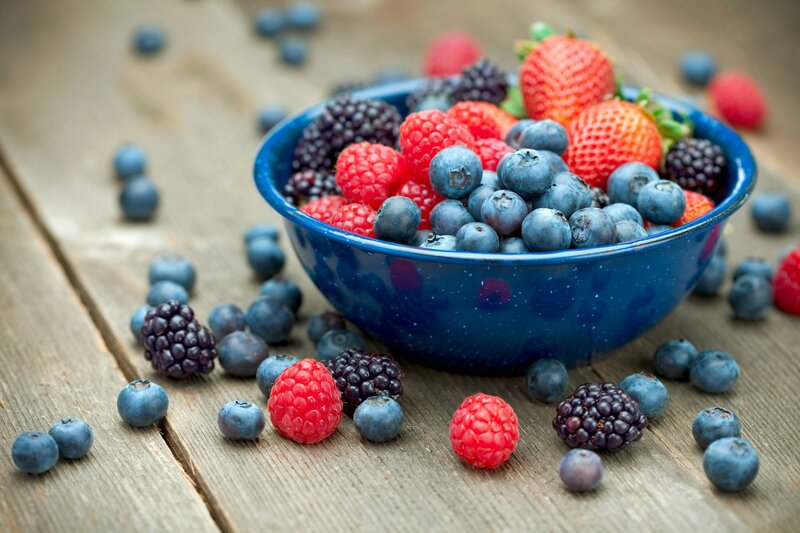 Berries, especially the red and blue varieties, are remarkably potent, heart-healthy warriors. Results of a meta-analysis study from 2016 found that berry consumption contributed to lower LDL (bad) cholesterol, blood pressure, and body mass index. Simply consuming 1 to 2 daily portions of either strawberries, raspberries or blueberries can reduce your risk of cardiovascular disease. Famous spinach-lover, Popeye the Sailor, didn’t just get outwardly strong from eating his greens. He was unknowingly strengthening the most important muscle in his body: his heart! 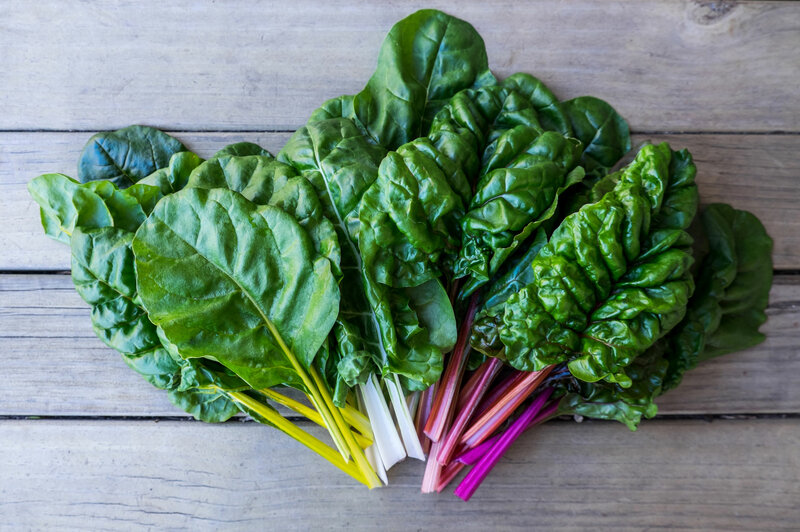 Leafy greens, such as spinach, collards, kale, and arugula, contain an abundance of vitamin K, which helps decalcify blood vessels and protects the arteries. A meta-analysis study, published in JRSM Cardiovascular Disease, showed a 16% decrease in heart disease from a diet rich in leafy greens. What’s the best way to eat leafy greens? 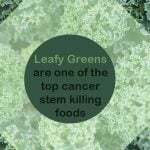 For best results, enjoy a combination of raw and cooked leafy greens for maximum nutritional benefits. 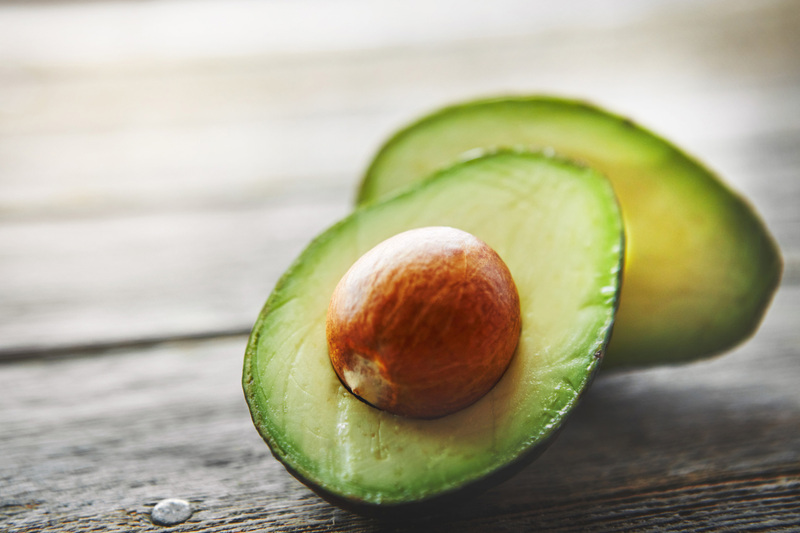 Did you know that avocados have even more potassium than bananas? A single Hass avocado contains 33% of the daily recommended potassium intake. 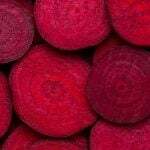 Potassium increases nitric oxide release, lowering blood pressure and improving the function of your arteries. Avocados also contain healthy monounsaturated fats, which can reduce LDL cholesterol and overall cardiovascular disease risk. Nuts and seeds have been shown to lower LDL cholesterol levels, reduce the risk of inflammation, decrease body weight and insulin resistance, and improve endothelial function. Walnuts, in particular, have been extensively studied for their positive effect on LDL cholesterol. Part of the reason may have to do with their high amounts of omega-3 fatty acids. 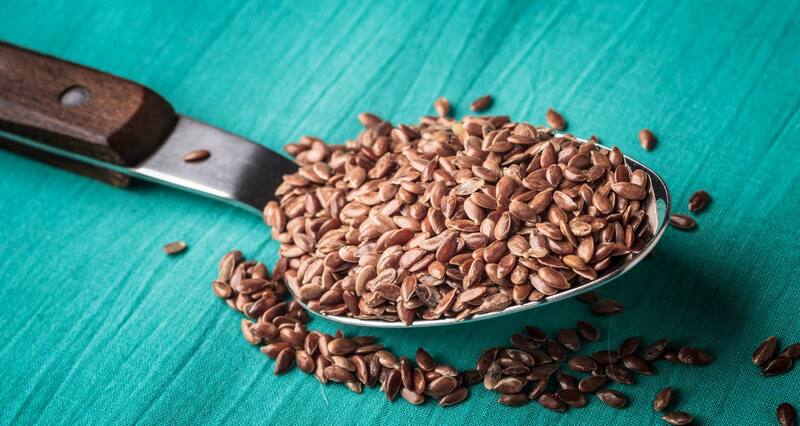 Flax and chia seeds are also rich in healthy fats and are two of the best sources of plant-based omega-3’s, namely ALA — an essential fatty acid we can only get from food. How many nuts and seeds should you eat? One daily serving of nuts can reduce your risk of cardiovascular death by 39%. But, a little goes a long way with nuts and seeds due to their calorie density. Dr. Joel Fuhrman recommends 1-2 ounces of nuts and seeds per day (or more if you’re fit). Discovered over 2,000 years ago in Central and South America, the Latin name of the cacao tree, Theobroma cacao, means “food of the gods.” And it’s easy to see why. The antioxidants derived from the cacao tree, found in cocoa powder and dark chocolate, are more powerful even than “superfruits” like blueberries, acai, cranberry, and pomegranate. 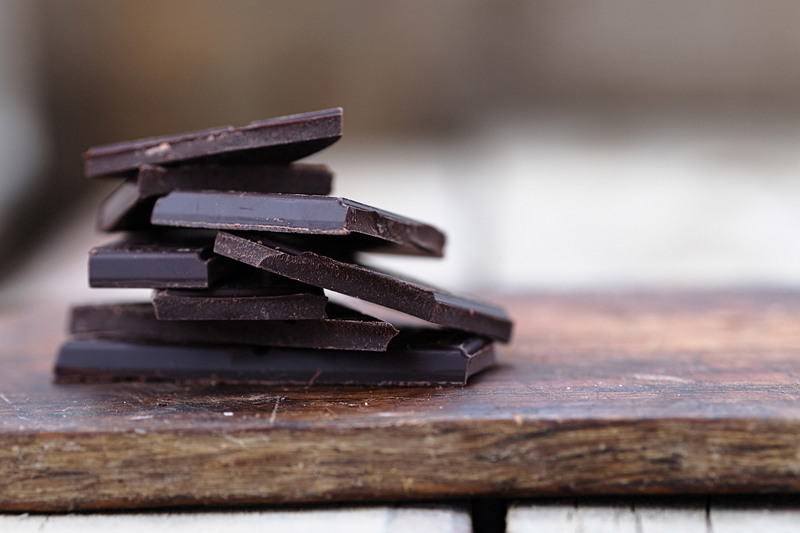 One study even showed that high levels of dark chocolate consumption reduced cardiovascular disease by 37%, type 2 diabetes by 31%, and stroke by 29%. Those are pretty significant numbers! But even for all its benefits, keep in mind that most chocolate contains large amounts of sugar and dairy, which can mitigate its benefits. When it comes to your health, darker is better, so look for varieties that contain at least 72% cocoa. And as with many tropical foods, sourcing matters too. To avoid supporting farmer exploitation and child labor, I always encourage fair-trade-certified cocoa. As a child, you may have heard the schoolyard song about beans being good for your heart. Little did you know, there’s actually some truth to that! Beans are high in a variety of vitamins, minerals, and fiber, making them a top heart-healthy food. Beans also contain phytochemicals that reduce inflammation and oxidative stress caused by a buildup of plaque and clogging of the arteries. 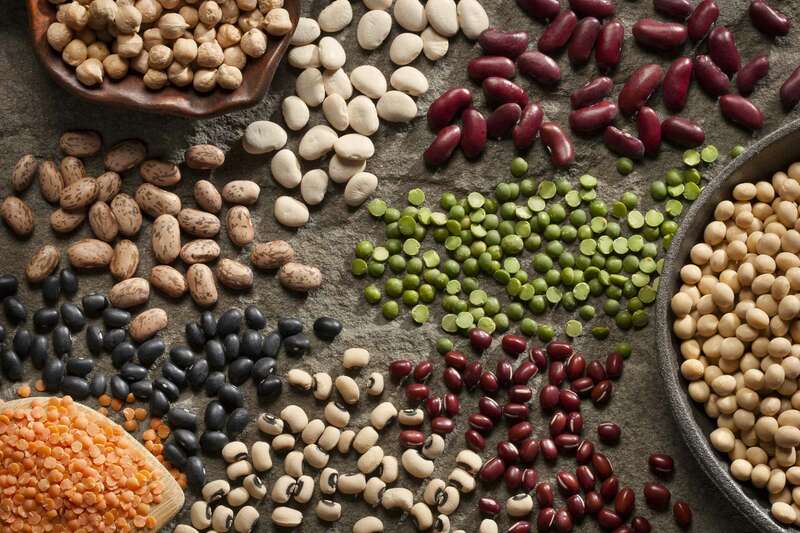 Darker colored beans, such as adzuki beans and black beans, have the highest levels of phytochemicals. But all kinds of beans are highly nutritious and are excellent foods for heart health. 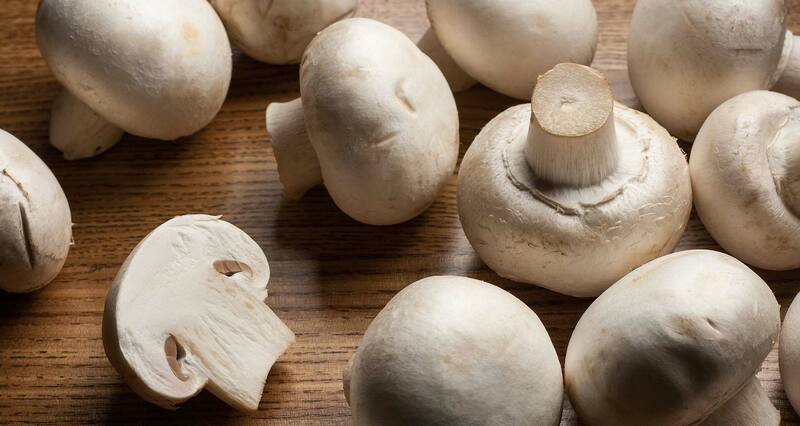 Add them to soups and salads or prepare them as a main course with steamed veggies. Just one serving of beans per day can reduce your risk of heart attack by 38%, according to a 2005 study. 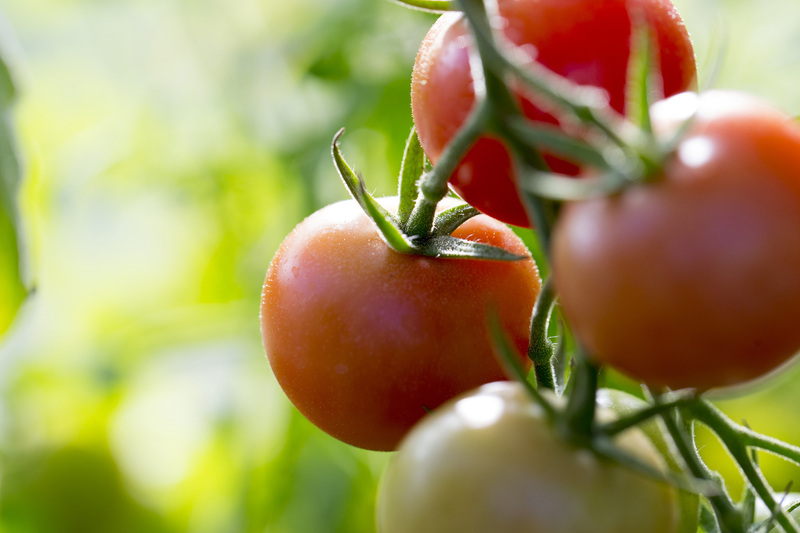 Tomatoes are a rich source of lycopene, an antioxidant and carotenoid that gives them their red color. As an antioxidant, lycopene can lower inflammation in your body and prevent oxidative stress that contributes to heart disease. What’s the best way to eat tomatoes? Eating raw tomatoes was shown to increase HDL (the good cholesterol) in overweight women. But cooking tomatoes actually increases their nutritional benefits, releasing even more lycopene than what’s available in their raw state. Try including cooked tomatoes in stews, chilis, and stir-fries or as a topping on zucchini or butternut squash noodles. An apple a day may keep the cardiologist away. But why exactly is that? 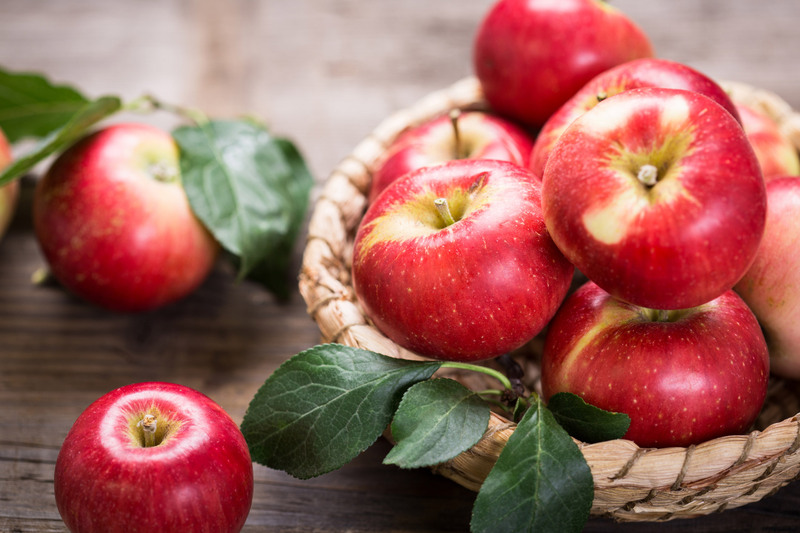 Apples contain pectin, a soluble fiber that blocks cholesterol absorption in your gut. Like beans, they also have polyphenols and other antioxidants that fight heart disease by lowering blood pressure and cholesterol. One study concluded that apples could be almost as effective at preventing heart disease deaths as statins, or cholesterol-lowering drugs. Apples are a beneficial addition to any heart-healthy diet. Eat apples with the skin on. The skin provides most of the fiber and many of the other beneficial nutrients, too. 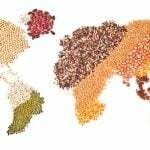 Low in calories and relatively inexpensive, spices are used around the world in every culture for their flavors and medicinal benefits. Indian spices, in particular, have been shown to protect against inflammation and damage caused by high cholesterol and blood sugar and to be protective against heart disease. Part of the allium family of vegetables, garlic has been used for centuries in cooking and medicine. Charaka, the father of Ayurvedic medicine, claimed that garlic maintains blood flow and strengthens the heart. 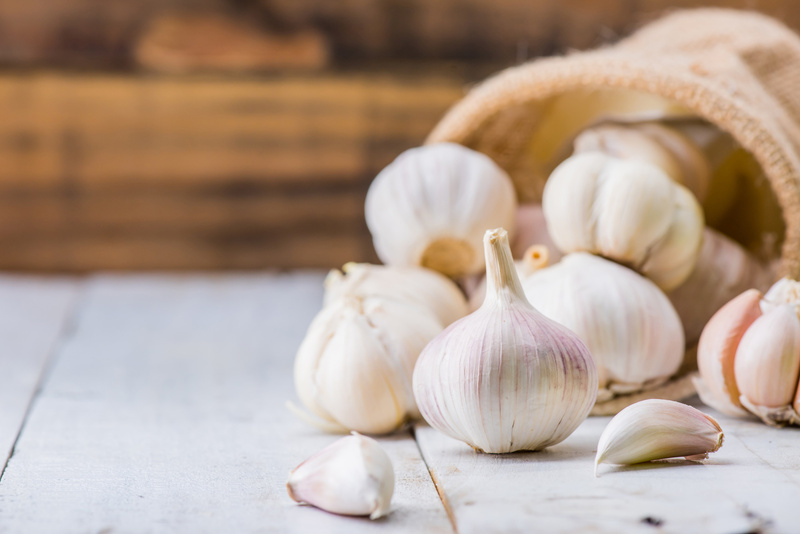 Evidence exists from the National Health and Medical Research Council that ½ to a whole clove of garlic daily could lower blood cholesterol levels by up to 9%. Garlic extract has also shown anti-clotting and blood-pressure-lowering properties in studies. A major ingredient in Indian curries, the health benefits of turmeric are far-reaching due to a powerful polyphenol called curcumin. Curcumin is what gives turmeric its yellow color. 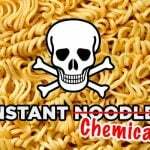 And it also has a protective role against cardiovascular disease. 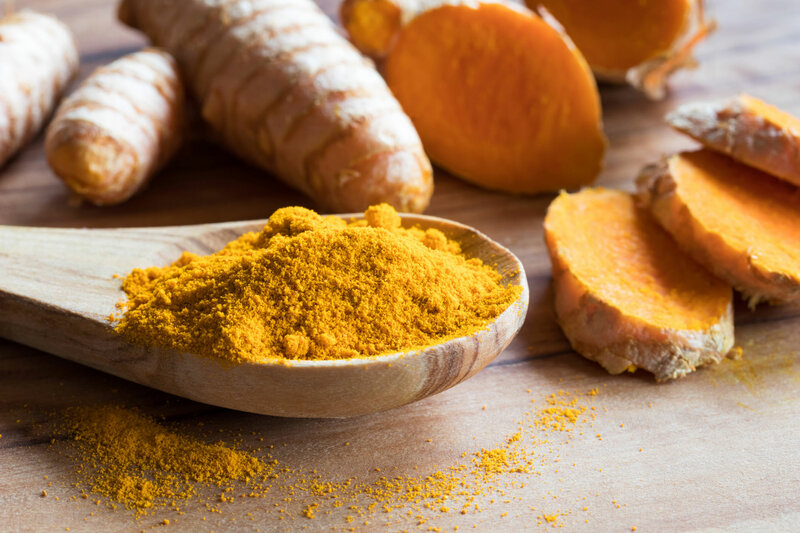 The antioxidant effects of curcumin can prevent heart-related complications due to diabetes, lower LDL cholesterol levels, protect against atherosclerosis, and prevent heart failure and arrhythmias. 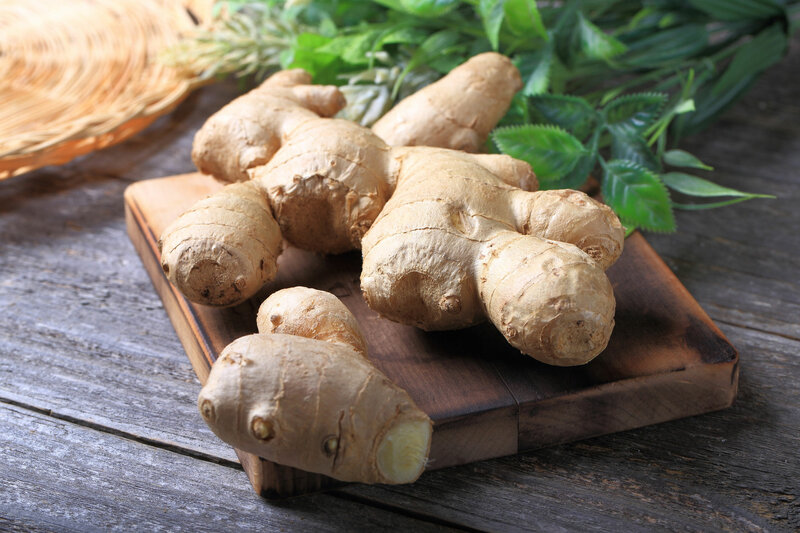 A widely used medicinal spice, ginger is useful in treating a variety of chronic conditions, including heart disease. Ginger’s active component, gingerol, has powerful anti-inflammatory and antioxidant effects. In one study, mice who consumed a high dose of ginger extract for 10 weeks experienced a 76% reduction in cellular cholesterol. 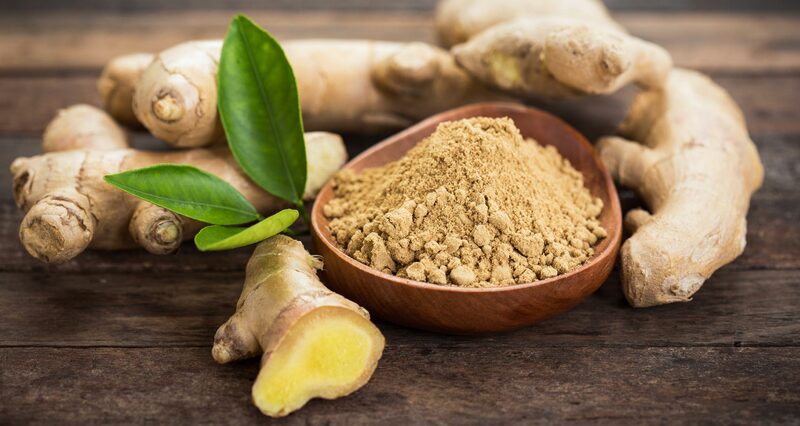 Another study with humans who took a 10 gram, one-time dose of dried ginger, saw a reduction in the formation of blood clots. Considered the “king of spices,” black pepper is rich in minerals including potassium, which helps control heart rate and blood pressure ― and zinc, an antioxidant with anti-inflammatory properties. It’s also a rich source of magnesium, which helps keep blood flow and blood vessels in tip-top shape. 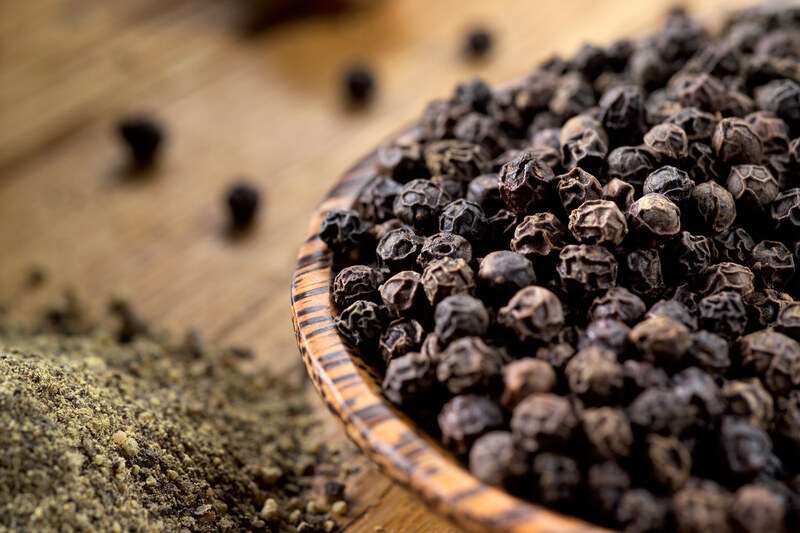 One study found that supplementation of black pepper in a high-fat diet increased HDL (good) and reduced LDL (bad) cholesterol levels, and reduced triglyceride levels. 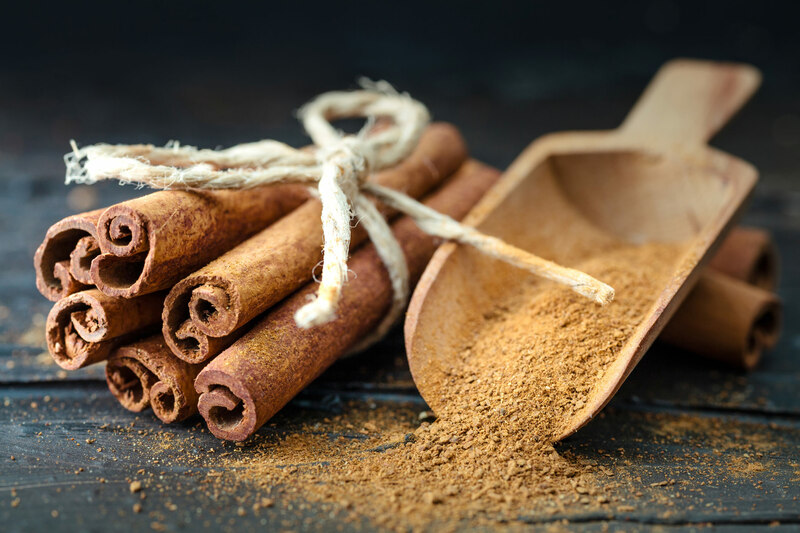 Although today we associate cinnamon with foods like apple pie, its culinary and medicinal history goes back thousands of years. Arab traders brought it to Europe in limited supplies where the then expensive spice was considered a status symbol during the Middle Ages. Cinnamon is documented in both Indian Materia Medica and Indian Medicinal Plants – A Compendium of 500 species books, classifying the spice as an herbal drug with cardiovascular benefits. In recent studies, cinnamon has been shown to help manage obesity-related high cholesterol while also increasing nitric-oxide levels. 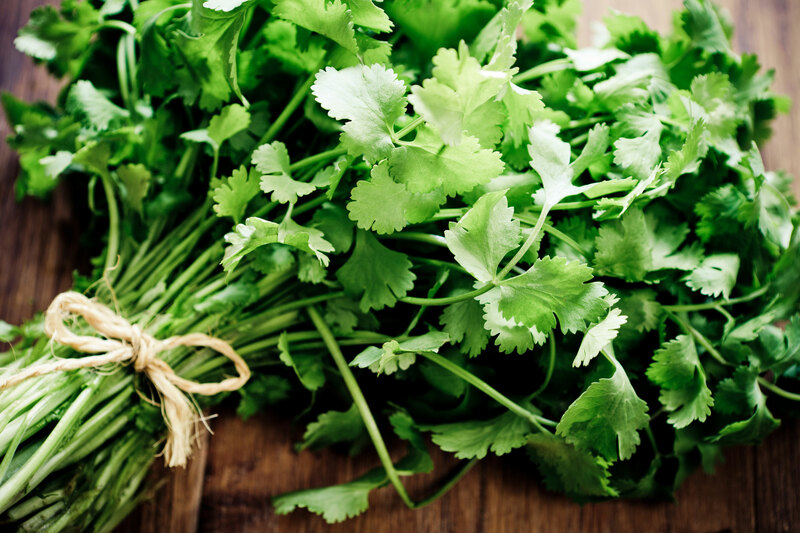 Coriander has a long and well-documented history as a treatment for cholesterol. The seeds of coriander are especially good at lowering cholesterol, which has been documented in a few different studies. One study on rats showed a significant decrease in total cholesterol and triglycerides while HDL (good) cholesterol levels increased. Another study using coriander and curry leaves found they help prevent blood clots caused by heart disease. Many of the foods mentioned here aren’t only good for heart health. They’re also beneficial in fighting other diseases and chronic conditions, such as cancer, type 2 diabetes, and Alzheimer’s. Want to show your heart, and your whole body, some love? Try loving the foods that will love you back. Did you know how important diet was to heart disease prevention and reversal? 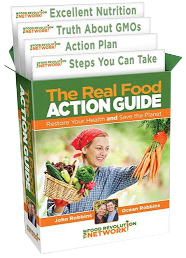 Do you know anyone who’s reversed heart disease with a healthy diet (and other lifestyle changes)? What are your favorite heart healthy foods and spices?